A list of female scientists who made important contributions to the field of science. Caroline Herschel (1750-1848) German astronomer. She worked on the classification and calculation of astronomical objects and identified new comets and nebulae. She also worked on the classification of stars. After moving to England with her brother, she became the first women to be given a paid scientific post. In 1828 she was the first women to be honoured by the Royal Astronomical Society for her work on classifying the night sky. 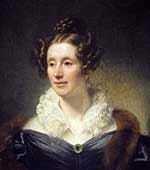 Mary Somerville (1780-1872) English scientist. Somerville published research into the effects of magnetism, but became best known for her popular scientific books. In 1827, Somerville was encouraged to write an easy to understand explanation of scientific principals. Her first book ‘The Mechanism of the Heavens’ was a distillation of Celestial Mechanics and Newton’s work. 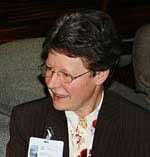 She also went onto write popular books on geography, physical sciences and Molecular sciences. 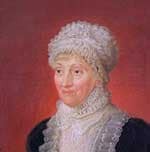 With Caroline Herschel, she was the first women elected to the Royal Astronomical Society in 1835. 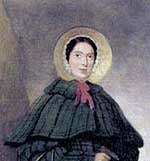 Mary Anning (1799 – 1847) English palaeontologist who played an important role in understanding the prehistoric natural world. She collected fossils on the south-west coast of England (around Lyme Regis) and discovered many important fossil collections. Her work was widely used by geologists, though as a woman, she was not accepted into the scientific community of the nineteenth century. 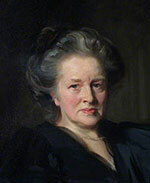 Elizabeth Garrett Anderson (1836 – 1917) Pioneering female physician. Overcoming obstacles and discrimination, she became the first female registered doctor in Britain. Anderson also helped found the first teaching college for female doctors. 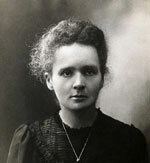 Marie Curie (1867 – 1934) Polish physicist and chemist. Curie discovered radiation and helped to apply it in the field of X-ray. She won the Nobel Prize in both Chemistry and Physics. 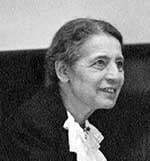 Lise Meitner (1878 – 1968) Austrian-Swedish physicist who worked on radioactivity and nuclear physics. In 1939, Meitner and Otto Hahn successfully showed the nuclear fission of uranium and correctly predicted this would create an enormous release of energy. This process is the basis of both nuclear power stations and nuclear weapons. Due to her Jewish identity, she fled Nazi-occupied Austria for Sweden where she stayed for the remainder of her life. 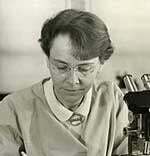 Barbara McClintock (June 16, 1902 – September 2, 1992) American botanist. Her pioneering discoveries relating to showed how chromosomes of maize affected its genetic structure. McClintock also discovered transposons which is a part of DNA that can change its structure and hence genetic makeup; they are sometimes known as jumping genes. For this work she was awarded the Nobel Prize in Physiology or Medicine in 1983. 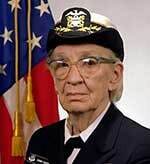 Grace Hopper (1906 – January 1, 1992) American computer scientist. Hopper worked as a programmer on the Harvard Mark I computer. Hopper helped to develop programming languages which translated English into code understandable by computers. This became the industry standard. Her work led to the creation of COBOL, a programming language still influential today. She also served as a rear-admiral in the US Navy. 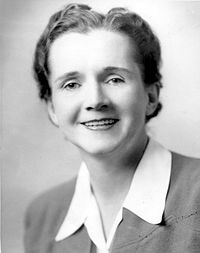 Rachel Carson (1907 – 1964) American scientist, conservationist and writer. Rachel Carson was a marine biologist who used her knowledge to become a pioneering environmentalist. Her work, Silent Spring (1962) highlighted the dangers of unregulated pesticide use. It played an important role in creating the modern ecological movement. Dorothy Hodgkin (1910–1994) British chemist. Hodgkin was awarded the Nobel prize for her work on critical discoveries of the structure of both penicillin and later insulin. These discoveries led to significant improvements in health care. An outstanding chemist, Dorothy also devoted a large section of her life to the peace movement and promoting nuclear disarmament. 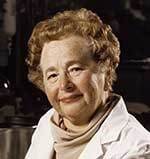 Gertrude B. Elion (1918 – 1999) American biochemist and pharmacologist. Elion helped to discover important new drugs, such as (AZT) used in the treatment of AIDS. 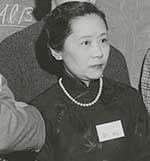 She also developed immunosupressive drugs to enable organ transplants and a new drug to treat virus Herpes. In 1988, with George H. Hitchings and Sir James Black she was awared the Nobel Prize in Medicine for ‘important new principles of drug treatment’. 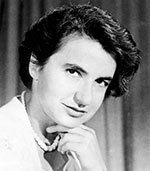 Rosalind Franklin (1920 – 1958) British Chemist who made significant contributions to understanding the structure of DNA and RNA, which led to the discovery of the DNA double helix. Franklin also worked on the chemistry of coal and viruses. Jocelyn Bell Burnell (1943 – ) UK astrophysicist from Northern Ireland. In 1967, working as a postgraduate student, she discovered the first radio pulsars. A pulsar is a highly magnetised neutron star or white dwarf. This discovery involved reading through sheets of paper and observing the anonomolies – which for a time suggested it could be life from other planets. In 1974 her supervisor Antony Hewish and Martin Ryle were awarded the Nobel Prize for Physics. Whilst many thought it controversial Burnell did not share in the award, Burnell herself respected the decision of the Nobel committee. Citation: Pettinger, Tejvan. 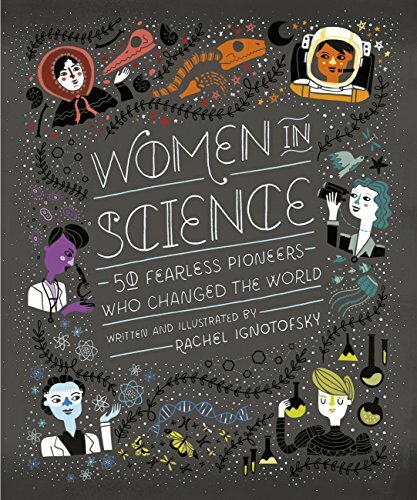 “Famous Women in Science”, Oxford, www.biographyonline.net. Published 7th August 2018. Female biographies – A list of 100 famous women from Sappho and Cleopatra to Marilyn Monroe and Angela Merkel.